Robin Ho Smartrade: Ezion - Breakout of consolidation. Double top formation in the making. 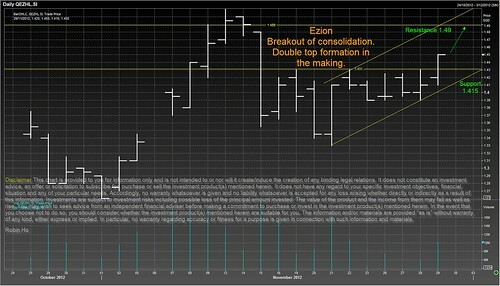 Ezion - Breakout of consolidation. Double top formation in the making.